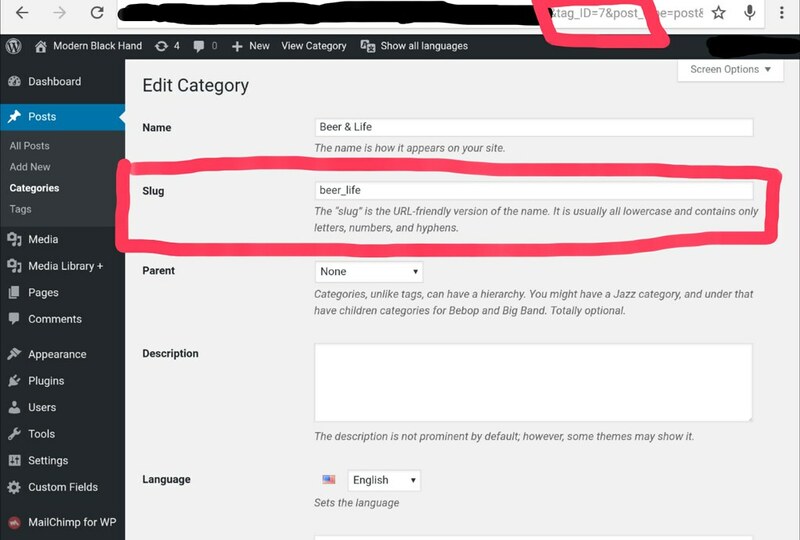 In this tutorial we will introduce wordpress’ categories for creating our multiple-topic blog site. 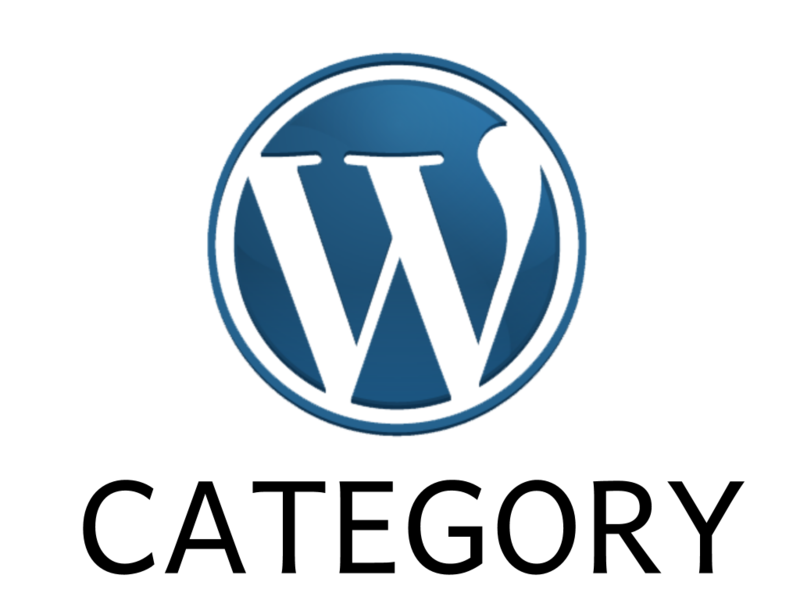 WordPress’ category enables us to better organize and display different types of posts. Differences between posts can simply be the topics as in our site, or they can be completely separate entities like “product description” vs “design portfolio”. Besides category, wordpress also has ‘tags’ for posts. However tags are normally used to better describe posts rather than separating them. Find category-slug.php files. A slug is the user friendly, url valid name of this category. If not found, find category-id#.php. id# is the id number of this category. If not found, wordpress uses category.php. If not found, wordpress uses archive.php. You can read this tutorial for reviewing wordpress’ template hierarchy mechanism. In ModernBlackHand we want to have 4 separate pages displaying these types of posts: Internet of Things, Cycling, Web and Beer & Life. Using Advanced Custom Fields for categories. Set specific category URLs at home page and header menu. The category.php code is as follows. You can also find it on my Github page. We wil delay the modal usage (line 65-70) to later tutorials. <section class="header-image parallax-bg" data-type="background" data-speed="2"
See this tutorial for more details of using ACFs. See this tutorial for parallax effect details. This section prints out the posts that belong to this category. The content has a width 10 and is centered. See this tutorial for Bootstrap’s grid system usage. If yes, it enters the Loop to print out posts. If not, it prints out content indicating there is no posts. Like the home page template page-home.php, here we use the function get_template_part(...) to include codes from other files. If there are posts, the function here includes codes for showing a post in a list from the file template-parts/content.php. If not it includes codes from another file template-parts/content-none.php . You can review the details from the Codex. See this tutorial for more details about the Loop. 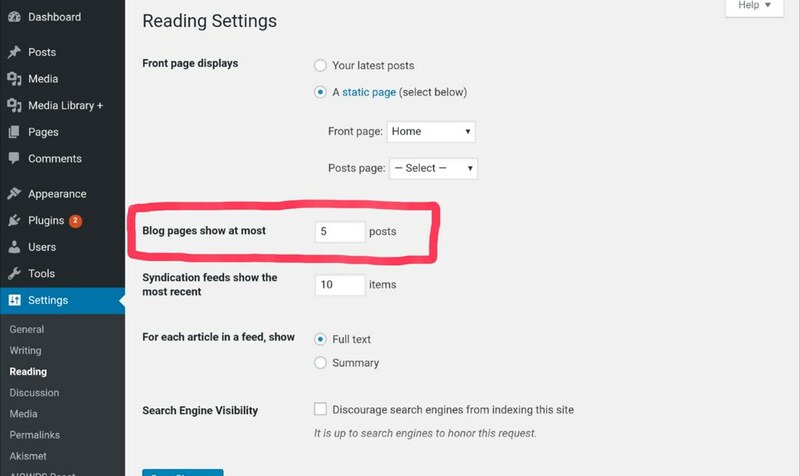 WordPress can be customized to display appropriate amount of posts per page. The function that shows “older posts” and “newer posts” to navigate over pages is the_posts_navigation(). As you have more posts and therefore more pages to show, you can further use function the_posts_pagination(...) to show page links besides “previous” and “next” links. See the Codex for more details.